There are many more offers. Login and see what you have on your card. Also, make sure you check for offers for any authorized users on your card. You should have already received your pizza codes and I hope you can enjoy them by tonight!! 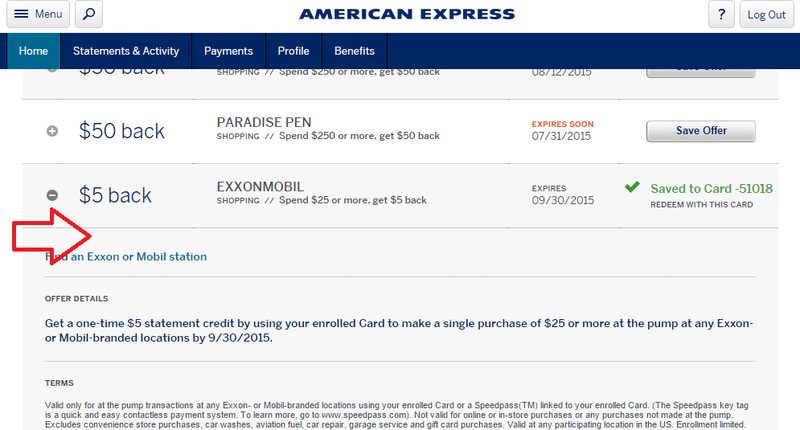 Amex rolled out a new Amex offer this morning. It is good for $5 off $25 at Exxonmobil. You can tweet #AmexExxonMobil to receive this offer onto your sync card or some folks (including me) are able to see the offer after logging in. The offer expires 9/30/2015 but once enough card holders are enrolled in the offer you may not be able to add the offer to your card so act ASAP.